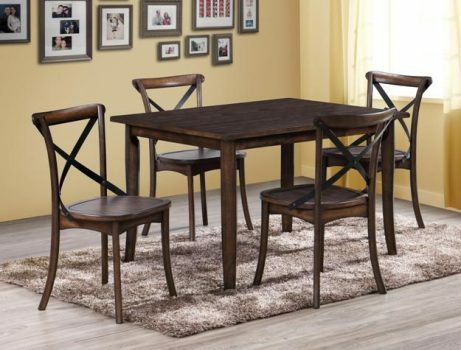 This simple yet refined Farris dining table set has a clean and updated design. Pair with the unique side chairs with metal X-stretcher backrest. With a smaller scale design, this collection will work perfectly in a smaller scale room, but also has the character to fill a large space.